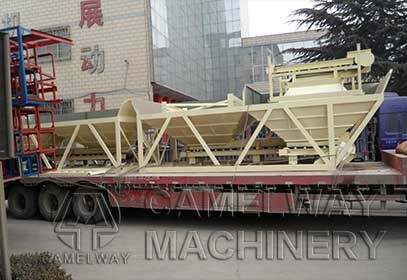 As a professional manufacturer and supplier of concrete batching plants, Zhengzhou CamelWay Machinery manufacture has focused on the creation and innovation of concrete batch plant for years. Our machine has the advantages of high quality, reasonable price, good performance and long service life. Up to now, our machine has sold very well at home and abroad, and we have varieties of concrete batch plants for sale to meet your different requirements. Then, we will talk about the concrete batcher. This entry was posted in Solution and tagged concrete batcher by camelway. Bookmark the permalink.